Valentine’s Day is all about doing something special for the ones you love. Well, that should also include Valentine’s gifts for dogs. They give us unconditional love each and every day. So don’t forget about your dog on Valentine’s Day. 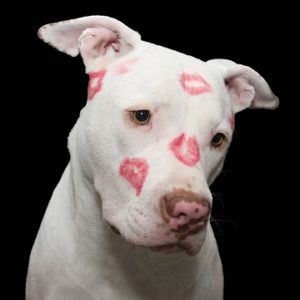 Here are some ways to make your dog feel special on Valentine’s Day, and let them know how much we love them too. 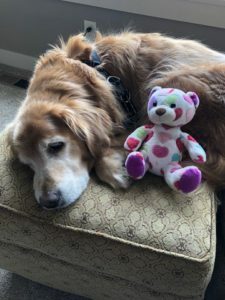 Valentine’s Gifts for your dog don’t just have to be purchases for them, there are many things you can do to make your dog feel special on Valentine’s Day. Here is my list of things you can do to include your dog on Valentine’s Day. One of the favorite times of a dog’s day is when they get to go outside and play or go for a walk. 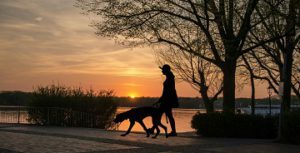 Even if you walk your dog every day, on Valentine’s Day, take them for a longer walk or maybe give them 2 walks that day. Give them extra outdoor time to play, if it isn’t too cold where you live. Stay outside with them and toss a ball for them, or just hang out with them while they lay in the yard. Sometimes it feels like they are just happy laying in the hard with someone near them. Dogs love treats, and making them some special homemade dog treats will surely make them happy. You can make them the standard dog bone shaped treats, or you can even use heart shaped cookie cutters so the treats look more like Valentines Day treats. Your dog won’t be picky which shape your choose, they just will feel special getting some different treats than they usually do. If you don’t have time to make treats, stop and pick up your dog some doggy ice cream. My dog gets it for every birthday, and loves it. Frosty Paws is the only one I am familiar with, but you might have other kinds in your area. Frosty Paws comes in 2 favors, original and peanut butter. There are 4 small individual servings per box. 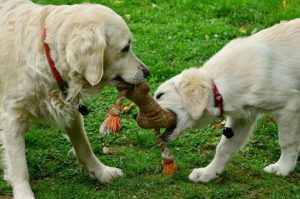 There are many toys to chose from if you decide that you would like to get your dog a new toy for Valentine’s Day. New toys are always a positive in a dog’s mind. A new toy for Valentine’s Day is always welcome. There are many to choose from that all have the Valentine’s Day theme. You can choose a heart-shaped rope chew, stuffed bones with hearts and squeakers, heart-shaped stuffed toys with squeakers. Whatever type of toy your dog likes best is also available for Valentine’s Day. You will always be able to remember when your dog got that toy also, since it will obviously have hearts and all the other Valentine designs. 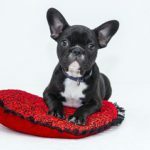 Take a look at the many Valentines Day Dog Toys that Amazon has available. Does your dog need a new collar, for Valentines Day or just a special one for certain occasions? There are several Valentine’s Day dog collars to choose from. Most of them will have hearts on them for celebration of Valentine’s Day. Your dog will look very festive wearing a Valentine’s Day dog collar. Does your dog like dressing up, or should I say, do you like dressing your dog up? There are so many outfits for Valentines Day for your dog. You can get your dog a Valentine’s bandanna if that is your dog’s style, or a red sweater with a heart on it. There are shirts with free kisses, and tutu’s for the fancy dogs. Whatever you decide on, your dog will look special and you will feel like they are included in the holiday as well. You can take a look at some of Amazon’s Valentine’s Dog Clothes here if you like. If you are looking to purchase your dog some special treats for Valentine’s Day, the choices are unbelievable. There are heart-shaped boxes filled with dog treats, gift boxes with dog cookies, a pup pie and even Truffles dog cookies. All of them look beautiful enough to give to a person, except for them not being able to actually eat them. You can go from fairly basic to very fancy. Whatever your desire is. Now in reality, our dog doesn’t care how fancy of a treat box that they would get. It is all about what is inside, but if you like spoiling your dog and treat him like a human (like many of us do), there is plenty to pick from on Valentine’s Day. If your dog has a buddy that they like running around with and playing with, invite the other dog over. Let them play for an hour or so. That way if you have a special night planned for later, your dog will be pooped out, and you won’t feel so guilty when you leave later for a date night. Plan a doggie play date for Valentine’s Day. Your doggie play date is great for your dog to feel special, get some exercise and playing with another dog will give them plenty of mental stimulation that will give you a happy, but tired dog. Always remember the day by having a special picture taken of the two of you. It seems that we can never take enough pictures of our dogs, but we are usually not in the picture with them. This year, have a picture taken of the two of you and maybe get a heart shaped frame to display your picture of you and your dog. Having a picture with someone who loves you each and every day, no matter what is the perfect Valentine’s day. 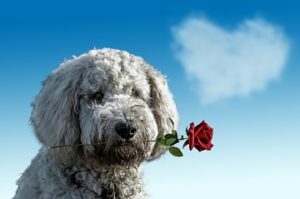 Just the fact that you are searching for ways to make your dog feel special on Valentine’s Day, makes me believe that you will have some type of Valentine’s gift for your dog. Dog forget to give some loving to your friend who loves you always. Dogs don’t need big grand gestures. Spending time with us, going for a walk, and a treat makes them the happiest. But if you are someone who wants to do a grand gesture with Valentine’s dog gifts, there should surely be something from my list that will make your dog feel special, and in turn make you feel good about treating your dog special on this day that is all about love.